Commissioned by the arts organisation, Metal, the photographer and film-maker Marc Atkinson has explored the edgelands of Peterborough for a film & photographic exhibition, accompanied by an illustrated catalogue for which Ken has written an introductory essay. More details of the exhibition and related events are provided at the end. For his project, Marc Atkinson returned to document the hinterland of the historic city of Peterborough where he himself grew up, and spent many days tracking the surrounding terrain of Peterborough proper. In doing so he talked to walkers, residents, itinerant travellers, edgeland workers, as he documented the hybrid new landforms and erstwhile woodlands, now to be found encircling the city. Many of these outings have been compressed into a series of eight walks which he has written up and illustrated on a website specifically established for the project. ‘These are not timeless landscapes,’ wrote Atkinson in the course of writing up one of his walks, ‘anything but.’ This they share with the peripheral territory surrounding most towns and cities in the UK today. Development can sometimes happen almost overnight. The centrifugal force to re-locate new housing development, superstores, warehouses, and even religious buildings, to the perimeter is still the main thrust of urban policy, despite oft-repeated appeals to consolidate and revive town centres. Atkinson’s photographs reveal many awkward conjunctions of parkways and pathways, railway lines and feeder roads. Today Peterborough’s edgelands are dominated by car use, and those people who still choose to walk are regarded as aberrant. The woodlands are still used by dog-walkers, perhaps today the most intrepid group of all urban wanderers, but also by those without homes, or those engaged in illicit activities. Like many seeing Atkinson’s photographs for the first time, I was disturbed by the extent of the abandoned camp-fires, forsaken sleeping bags, make-shift benders and shelters, as well as the areas of the woodland floor covered with the multi-coloured spaghetti of cabling discarded once the valuable metals have been stripped out. 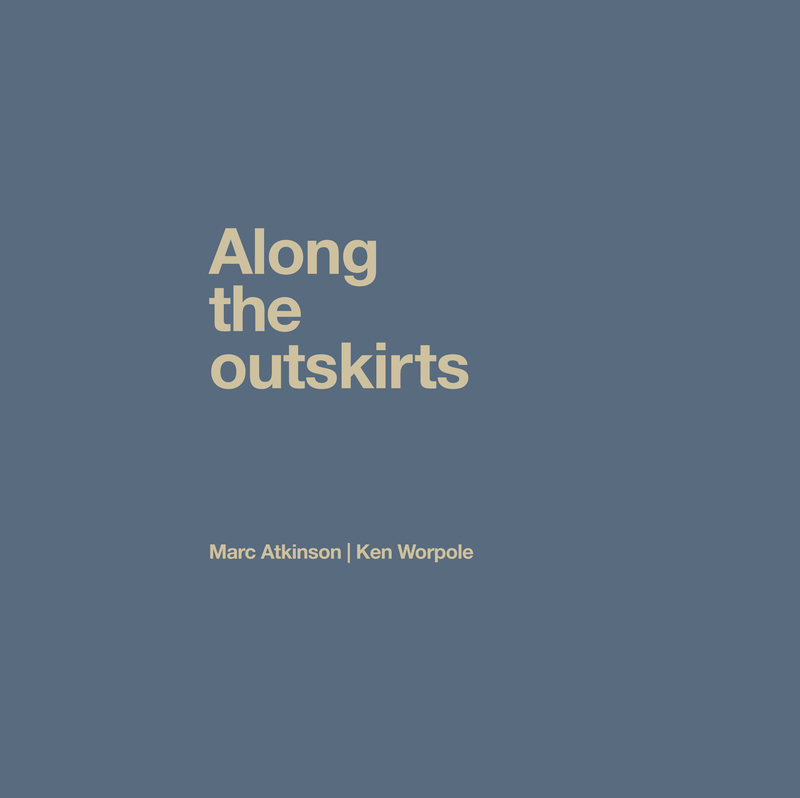 To launch their collaborative publication, Along the Outskirts, Ken will be joining Marc to discuss the role of landscape as heritage, as a rich pictorial tradition in art, as an ecology, and, perhaps most importantly, as a site of crucial contemporary debates about the value and meaning of place in a modern, post-industrial society. An open event on the past, present and future of UK new towns, featuring Sarah Gaventa on public art in Harlow; Christopher Smith on filming Basildon; Ruth Potts on economic transformation and Ken Worpole on building utopias. There will also be tours, talks, & debate.